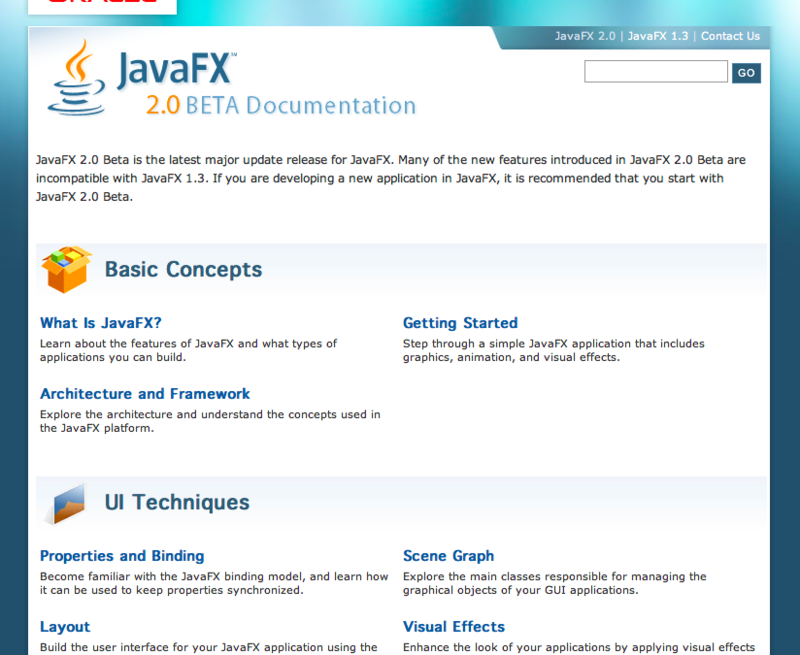 Just a quick post to point a link to the JavaFX Documentation page. The documentation team has been working really close with the engineering team and done a wonderful job in putting together these docs. For example, there is some great documentation for Properties & Binding, Working with Layouts, and Using UI Controls. 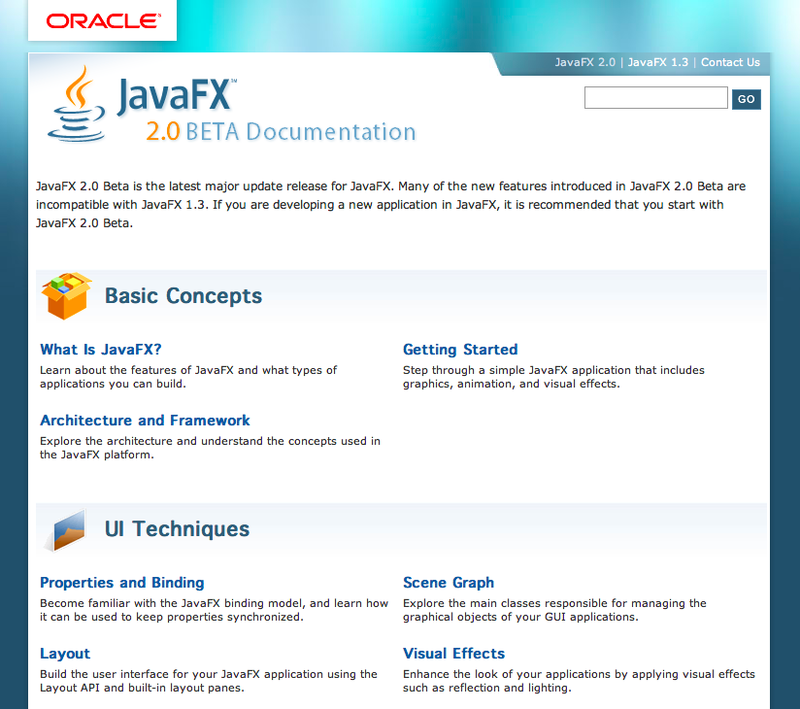 Jump over there and give the documentation a good read while building applications in JavaFX!